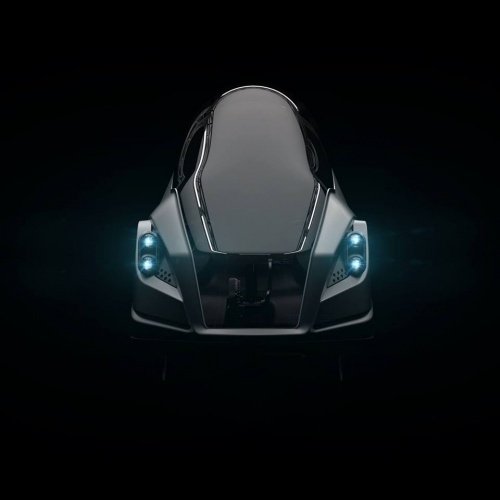 The infamous Sinclair C5 has inspired a new one-person electric vehicle designed by the nephew of C5 inventor Sir Clive Sinclair. 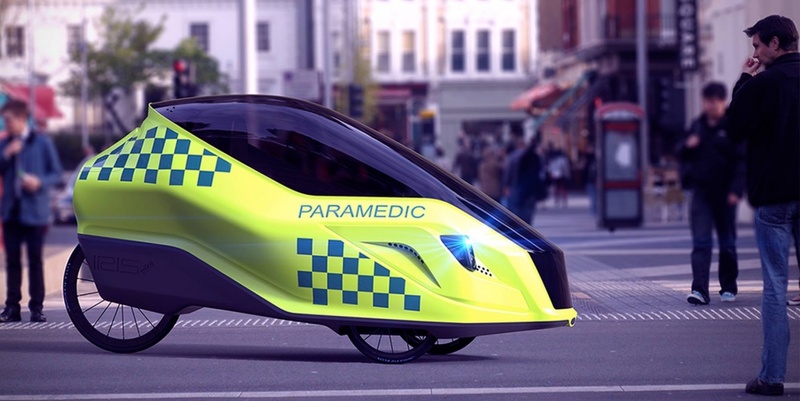 Known as the Iris e-Trike, Grant Sinclair’s creation has a streamlined shape based on the aerodynamic helmets used in track cycling and skiing. It’s constructed from a chromoly steel trike chassis inside a monocoque Quantum Foam EPP (expanded polypropylene) body. The road-legal vehicle is equipped with four LED headlights, a single rear LED brake light, and indicator signal lights. A 750+ watt mid-drive motor is capable of producing speeds in excess of 30mph, with the Iris also incorporating an eight-speed pedal bike gearing. A removable lithium-ion battery pack promises a range up to 50km on a one-hour charge. Total vehicle weight including battery and charger is 55kg. A 50 litre lockable rear compartment could be used by paramedics to carry medical equipment, or by couriers to deliver food and other goods. Several lessons from the C5 have been taken on board. The Iris has a hinged aviation acrylic canopy to protect the rider from the elements, something its predecessor did not offer. At 128cm, the vehicle’s ride height is also considerably greater than that of the C5, providing better visibility to both rider and other road users. A combination of vents and charcoal filters deliver a fresh supply of air to the cabin, which also features a smartphone dock that can link to a rear camera and give GPS support and music playback. Speed, distance, battery charge and power mode are displayed on a backlit LCD screen. According to its website, the Iris is set to cost £3,499. It can be reserved now for £99, with delivery slated to commence in the last quarter of 2017. More on the latest automotive engineering, technology and business news and features. Agreed on much of the above Edmund. Food and parcel delivery is certainly an area that the Iris seems to be targeting. I wonder how the windscreen wipers will work? They are awkward on such curved screens and need a hard surface to run on. Windscreen misting is another problem. These problems are some of the reasons why closed in pedaled vehicles are uncommon. What a shame we’re so keen on putting down people who try to do something interesting and new. Not one single positive comment on the whole page. No wonder England’s Industries are going down the tubes. The first electrically powered car was in 1910… we really have not come very far since then. It’s mainly the government that gets in the way by restricting usage and licence requirements. If the politicians took a side step (over cliff prefrably) electric vehicles would take off. I also think this new Sinclair Iris is much too expensive… they should aim for a fiqure of under £1K… even if it means a government subsidy.